Wings is the sequel to Sting, the action-packed, adventure story about a young honey bee called Ziggy. 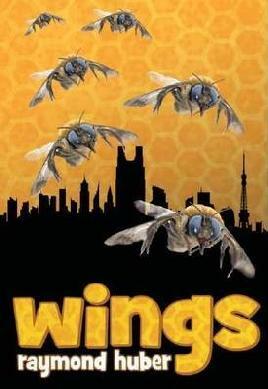 In Wings, Ziggy and his bee family travel to Tokyo with their human, Sparkles, to investigate the disappearance of bees all over the city. In Tokyo they meet Mitsu who shows them around the city and takes Ziggy and his family to try and find out what happened to her sisters. Along the way they make new friends and have to escape spiders, hornets and humans who want to destroy them. Will they figure out why the bees are dying and save the day?